Description: A adapter module for ESP-01 Wi-Fi module. 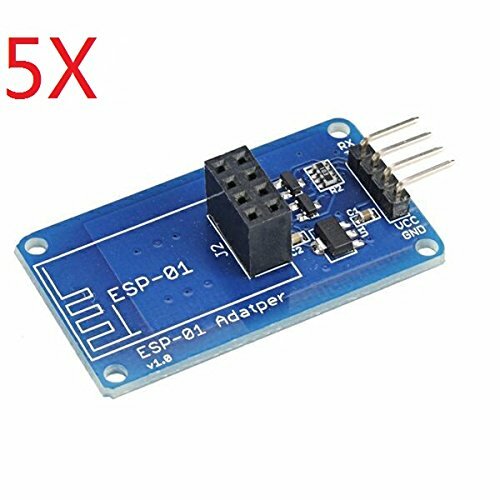 3.3V voltage regulator circuit and onboard level conversion circuit can make 5V microcontroller easy to use with ESP-01 Wi-Fi module. Also, the item can be used with Arduino UNO R3 or compatible board. Note: The item can be used with item 947259, item 947259 is not included! A adapter module for ESP-01 Wi-Fi module. 3.3V voltage regulator circuit and onboard level conversion circuit can make 5V microcontroller easy to use with ESP-01 Wi-Fi module. Also, the item can be used with Arduino UNO R3 or compatible board.